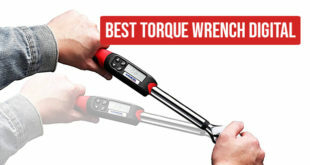 The Best Torque Wrench Digital or Dial Type? 2019’s Best Grease Guns For Your Buck! Emissions are one of the top pollutants around. Sadly, it’s an inevitable, unavoidable gunk. It’s always going to be part of the system that manufactures cars powered by gasoline. The good news is fuel efficiency laws and modern fuel systems today have evolved to minimize such emissions and hopefully, make today’s driving a lot more environmental-friendly. In fact, we personally consider it a moral obligation for us drivers to do our part. Much of this responsibility stems out from the level of maintenance we provide our vehicles with, particularly in your fuel injection system. What Is A Fuel Injection System? How Do Fuel Injectors Work? Fuel Injectors Are Precise And Expensive Technology For A Reason..
Why do fuel injectors need maintenance? How to solve fuel injector problems? How Long Do Fuel injectors Last? Fuel injector cleaners: Fact or fiction? What are the benefits of using fuel injector cleaners? The fuel injection system in your car is composed of fuel injectors that are meant to deliver gas to your motor properly. This system is a pivotal point in car production, since it provides the benefits of making cars a lot less polluting and a lot more fuel-efficient. 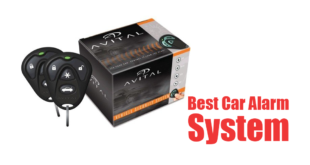 It is also a critical system all drivers must maintain and care for. Otherwise, fuel will not be burned efficiently and can be the cause of other car problems in the future. Much of the efficiency and functionality of a fuel injection system comes from how well the fuel injectors work. But what exactly are fuel injectors? 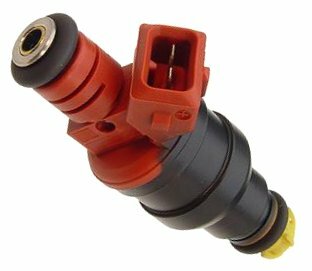 Fuel injectors have come a long way from its origins during the early 20th century. The very first fuel injection system running on gas was invented by Bosch, and was first used for the vehicle, Goliath GP700 back in 1952. Technological advancements finally eliminated the harmful carburetors and have paved the way for advanced electronic fuel injection engines (EFI). Fuel injectors are the electrically powered, computer-controlled valves that act like a syringe and injects more power into an engine. Of course, there is a system and structure to how much and how often these injectors put in fuel for your engine. It has its own timetable and scale to efficiently use throughout your drive. It is particularly important in ensuring that your engine is using just the right amount of fuel and is burning it well. Fuel injectors are equipped with electric controls that often receive signals from the engine computer system. This computer will then interact with the injectors, determining the right amount and timing of fuel distribution. Once the fuel reaches the injector through the pump in your tank, it will then spray a mist of gas into the cars’ motors. Once the gas mist reaches the manifold, it will then be brought to the engine where combustion takes place. Unlike gasoline injectors, diesel injectors are precision instruments, & operate in a very high-pressure environment along its carefully engineered pattern. The vast majority of diesel engines will manage with injection pressures of around 2,000 bar. It’s quite a high-tech order. It’s proficient in performing one to two pilot injections with precise dose, timing and a controlled pattern in each injection stroke. Other than that, diesel injectors are also made from exotic materials giving it a decent lifespan notwithstanding even the extreme environment. Gasoline injectors are not as critical as diesel injectors. Injection pressure duties are just about 200 bar max for DI engines and lower for older designs. It doesn’t have as many requirements as diesel injectors since it injects the fuel into a low-pressure environment. The dose injection per stroke and pattern only needs sufficient atomization. Just like any other component in your vehicle, you must take care of your fuel injectors as well. They are constantly exposed to high temperatures and the constant variations of gas quality put into it. The result? Your fuel injectors get clouded in dirt, wax, additives, carbons and other external elements overtime. When you have poorly-kept fuel injectors, this leads to ineffective fuel-spraying patterns, improper flow of fuel in your engine as well as a direct negative impact on your gas mileage and vehicle performance. The next thing you know, your car has a hard time starting or worse, it won’t even start at all. If it does happen that your fuel injectors become faulty, there are two primary ways to fix it: You can either use a fuel injector cleaner or replace it completely. Today, we’re going to focus on the use of fuel injector cleaners, why cleaning is necessary and what the best fuel injector cleaners are out there. Let’s start by getting into the facts: Are fuel injectors nothing but a hype? It’s perhaps one of the most discomforting questions as it brings a lot of “Oh no’s.” Why do we say this? It’s because it should last as long as the car goes. So why, then, is this even a matter for discussion? Despite each of the best-engineered fuel injectors, it’s all about how it can handle real-world factors. Destructive driving circumstances, pollution in the air, dirt particles and other unknowns can potentially shorten its life. Make your fuel injectors live longer by changing your fuel filter according to recommendations. Throughout our years in the auto business, we’ve discovered various ways of maintaining cars and providing quick, temporary fixes to some problems. One of which is the use of fuel injector cleaners. There are a lot of cheaper brands out there that give fuel injector cleaning a bad name. However, if you do stick to the best brands that are out to efficiently breathe new life to your fuel injection system, then you will notice that this simple, quick and affordable fix really does its job. The fact is fuel injector cleaners are necessary and effective, granted you invest on the right brand. Fuel injector cleaners work well in addressing initial fuel injection problems at their earliest stage. Problems like clogging can be fixed by using a cleaner on a regular basis. This makes it a fantastic fix for those who don’t want to end up with expensive car problems that will burn a deep hole in the pocket. Those who regularly use fuel injector cleaners experience improvement in more ways than one. There’s a shorter cranking time, a smoother feel to how your car runs, a more powerful engine as well as better throttle response. Just remember that the use of fuel injector cleaners depends on various situations. For example, those who live in frigid climates or don’t necessarily go for long-distance driving often will find that a bottle of cleaner every three thousand miles is more than enough. Furthermore, these cleaners are essential particularly to those who use gasoline that contains ethanol. Now that we have that out of the way, let’s take a look at the six best fuel injector cleaners in today’s market. Below are some of the best cleaners you can find in just about any car shop around. Remember to consider not only the cost but also its cleaning potency as well as its adaptability with your car’s make and model. Here’s an underdog among the most competitive brands of fuel injector cleaners, The Royal Purple. It may not have the bragging rights of being one of the longest-existing cleaners around but it is one of the most recent yet best products out there. It’s quickly gaining popularity thanks to its powerful carbon-eliminating capabilities as well as other features. 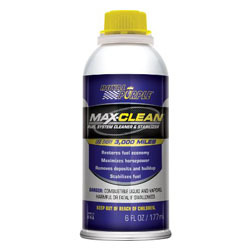 The 11754 Max Cleaner means serious business when it comes to restoring the power of idle engines as well as reigniting the performance of newly-bought cars. Like many fuel injector cleaners out there, it efficiently solves engine problems like hesitation and stalling. What’s more, it boasts of an increase in fuel performance and horsepower by 3.2% and 2.6% respectively with regular use. One serving on your engine from this cleaner and you will instantly feel the difference. There’s more to like about the Royal Purple Max Cleaner apart from re-awakening your engine fuel and clearing out initial fuel problems. It’s also an eco-friendly fuel injector cleaner that comes with far less toxic emissions compared to other cleaners available in the market. Thereby, restoring, and replenishing the vehicle’s functionality made guilt-free. Plus, it’s not that expensive either to hurt your budget. Chevron is best known as one of the world’s widest fuel sellers. Ironically, they came up with their own line of fuel system cleaner that based on our experience, works as advertised. Since it came out, it never left the rankings of good products that it is made for. This cleaner boasts of Techron — the brand’s patented technology that works as an additive to get the most out of your engine. It’s meant to restore your engine’s power and acceleration, restore fuel economy, reduce idle as well as eliminate knocking. It ensures your fuel consumption to remain stable for up to one year and works on malfunctioning fuel injectors real time. Over all, you might as well consider this the jack-of-all-trades when it comes to cleaning your fuel injection system. 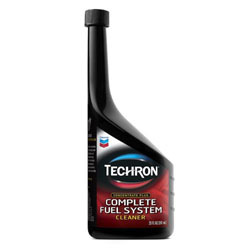 The Chevron 65740 Techron Cleaner works great for when your engine refuses to start or when you’re dealing with a car that has had it rough for a very long time. What makes this one of the best in our books is that it’s versatile to use among a wide range of vehicle types. It also works fast and is easy on the pocket. Plus, it’s made by one of the most trusted brands in the business. You can be sure this cleaner is nothing short of premium. Nothing is better than a cleaner that allows your engine to breathe efficiently. BG 44K is a brand has been around long enough to prove itself deserving of a good spot in the race of high-rated products. Granted it’s not the cheapest cleaner in the market, but how it eats away at the varnish and carbon as well as addressing rusting and residue problems is quite exceptional! It doesn’t just work on your car’s injectors. It also does a very good job of cleaning both your valves and combustion chambers. The fact that this fuel additive is not alcohol-based, it makes up to the few harsh chemicals in its formulation. 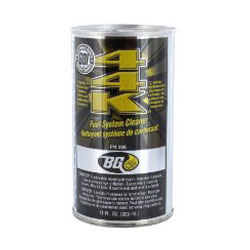 Nevertheless, the BG 44K Cleaner is compatible with all kinds of fuel as well as fuel additives. It makes for a versatile choice for whatever vehicle you own. Furthermore, it solves issues like power loss, stumbling as well as stumbling quickly than you’d imagine. In fact, you’d be delighted as to how much your mileage is improved thanks to this cleaner. Do take note that this fuel injector cleaner is exclusively designed for gasoline engines. Moreover, its amount is enough for a one time use for a single car. 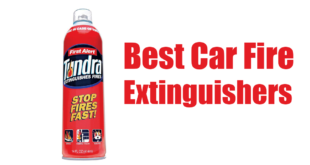 The 11- oz can treat up to 20 gallons of gasoline with just one kit. It’s worth mentioning though that despite its price being a bit steep per serving, its powerful effects are immeasurable. It is still, without a doubt, worth a shot. On the silver spot is the Lucas 10013 Fuel Treatment, which goes beyond acting as a fuel injector cleaner. It’s a fuel conditioner as well, which means it thoroughly rejuvenates your fuel injection system thus improving your car’s overall performance. Another reason to invest on this cleaner is that unlike other products in the market, it can clean up to 400 gallons of gasoline or diesel fuel. Already, this makes for a flexible and versatile choice among car owners. 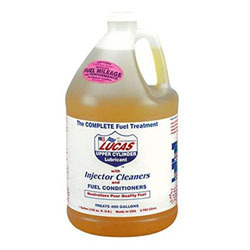 Lucas’ formula is designed to eat away all the gunk left behind by the burning of fuel in your engine. It even burns away all the unnecessary emissions that come from your engine. From here, it cleans as well as lubricates your fuel system, including your car’s piston rings. Furthermore, it improves the functionality of both your injectors and pumps. The 10013 Treatment is an overall solution to your fuel injection problems. A preventive and longevity product that is economical with its value-size, and a great multitasker. What we love about this cleaner is not just its ability to get rid of the sediment sludge or its power to clean while lubricating. We also admire its capability to neutralize low sulfur levels as well as boost your car’s mileage. 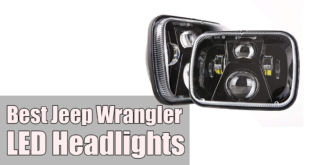 Once you apply it, you’ll instantly experience a smoother and more efficient driving. It can pretty much drive you nuts getting those crazy cylinder misfires. 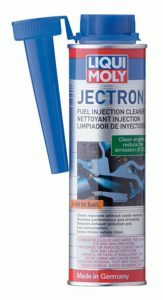 What are we looking for in a fuel injector cleaner? Something formulated to seriously prevent engine hiccups and prolong the life of your restored classic cars etc. For 2019, liquid molly marked smiles to those who have faith and tried it. The majority of customer reviews stated how their car’s gas mileage improved. Of course, results may vary with each product but this stuff is awesome. But who wouldn’t want a fuel treatment that provides the experience of being where you can feel that this is not only cleaning the injectors but as well as your fuel tank? It’s no surprise this brand became one of the most popular and profitable for auto-cleaning products. Originally developed in Germany, Liqui Molly’s primary ingredient that gave it the high rates is Molybdenum disulfide. A high grade and non-organic metal with the strength to withstand extreme heat up to 350 Celsius. What’s great about it is it doesn’t harm any critical seals or moving parts in your fuel system or engine. Just a heads up, even the best products has its slight drawbacks if you aren’t careful enough. This Fuel Injector Cleaner is great at expelling carbon, moisture, and sulfur build-up. So, it works pretty well in improving engine response-time upon accelerating or idling. However, it’s not recommended to use this product if you don’t regularly change your oil as advised as it may cause heavier clogging in both fuel injectors and engine oil. 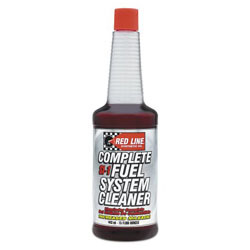 Taking the top spot as the best fuel injector cleaner and one that we personally recommend, is the Red Line Complete SI-1 Fuel System Cleaner. It’s known to work with almost a 100$ accuracy and performance. Plus, it contains the highest quantity per dollar concentration of polyether amines (PEA), which are best known for its exceptional cleaning properties. We recommend and love this product because it’s safe to use on a regular basis. Plus, the 15-ounce bottle it comes is more than enough for your car’s tank size, making it a budget solution for car owners and auto-mechanics worldwide. Plus, it doesn’t just clean your fuel system. This strong concentrated detergent is equipped with synthetic cylinder lubricants as well and goes beyond your fuel injectors and into improving your valves, combustion chambers and other auto parts. Some cleaners out there can’t cater to certain kinds of fuels or other models and make of vehicles. The Red Line however, caters to just about any vehicle and fuel out there. Plus, it’s highly cost-effective and you’re bound to notice the difference right away. Test it out and you’ll realize the results are unambiguous! Fuel injectors are godsend and are a great alternative to fixing initial fuel injection problems. However, we’d like to remind you that car trouble is caused by a lot of things. There will always be more than one variable at play here. The key is to conduct preventive measures as often as you can. 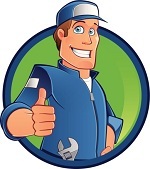 Inspect your spark plugs, engine oil, filters and other parts as required. There’s also the model of your car that should be considered. That’s why it pays to have a bit of know-how, learn more about your car and its components as well as keep in touch with your good ol mechanic to ensure you’re covering the right ground. Amazon’s Top 6 Best Diesel Fuel Additive Thoroughly Reviewed Plus Buying Guide, Tips and More! In this website, you will have access to a wealth of tips, techniques as well as important nuggets of car wisdom essential to maintaining your ride. Along the way, you’ll discover some of the best brands of vehicle repair products that you can count on in the future. .
© Copyright 2019 AutoMobile Remedy, All Rights Reserved.